Veronica Veysey Campbell’s teaching experience includes choral scholars at Cambridge and other universities, the choristers of St Paul’s Cathedral, students in the Royal College of Music’s Junior Department, and advanced students and professional singers in her private studio. She has just been appointed a vocal professor at the RCM. She is co-director of the vocal course at ‘MusicFest’, Aberystwyth and teaches for the National Youth Choirs of Great Britain. She is passionately interested in the healthy development of voices, where her main priority is to develop a secure and sustainable vocal technique. Many of her students have won prizes and awards and are now singing professionally. 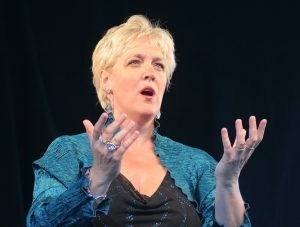 She is co-author with Liza Hobbs of two song books published by Peters Edition: Changing Voices, repertoire for young male singers during the voice change period, and Everlasting Voices, for older singers. She studied at Trinity College of Music and the Guildhall School of Music and Drama, winning many prizes at both institutions. She was a finalist in the Kathleen Ferrier Memorial Scholarship Competition and was awarded the Worshipful Company of Musicians’ Medal. She continued her studies with scholarships to study at the Académie Maurice Ravel with Gérard Souzay, and at the Britten Pears School. As a soloist she gave many recitals, oratario and concert performances but for many years now has focused on her teaching. 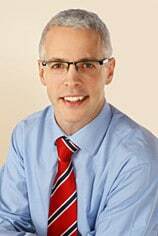 Nick Gibbins is an ENT Consultant, with a special interest in voice disorders. He graduated from Guy’s and St Thomas’ Hospitals in 1998, trained in London, and was appointed Consultant Ear, Nose and Throat Surgeon at University Hospital Lewisham (UHL) in 2012. He runs a multi-disciplinary Voice Disorders Unit at UHL and has a specialist interest in the diagnosis and treatment of all types of voice disorder and of the professional voice. He has written extensively regarding the management of voice disorders. His passions include understanding the evolution of the larynx and ensuring that professional voice users know how to manage their voice, what to do when it goes wrong and looking at the voice user’s health with an all-encompassing holistic approach. 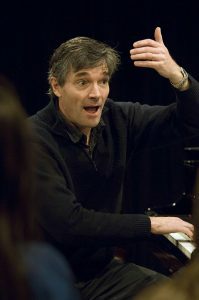 A physics graduate of Cambridge University, Christopher Goldsack studied voice with Rudolf Piernay at the Guildhall School of Music and Drama and then at the Lyon Opera Studio. His awards included first prize at the Toulouse International Singing Competition and the Grand Prix Paul Derennes at the Concours de Paris, and prizes for French song on several occasions at the Concours Triptyque in Paris. He has extensive experience as a performer of opera and oratorio repertoire, and an experienced recital singer with a special affinity for French song. 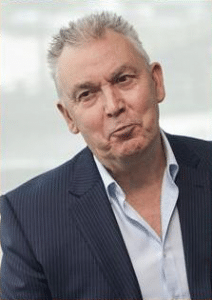 He was acting Head of Voice at the London College of Music and has given many classes on French song at the Guildhall School of Music and the Royal Academy of Music. He has also been on the jury for the several international singing competitions. After an extensive performing career he concentrates on teaching. He is a singing teacher at Epsom College, and directs several choirs – he founded the Promenade Youth and Junior Choirs in 2008 to bring his experience to children within his community and they have a growing reputation for excellence, performing repertoire ranging from Handel’s Messiah to pop ballads. More recently he has started working with adult choirs – running choral workshops, directing the Weyward Singers and starting a project choir. More about Christopher Goldsack at the Promenade Choirs website. David Henson is Head of Subject in Performance, Composition and Performing Arts at the London College of Music. Well known in the field of arts education, he is also a musician, actor, singer, director and musical director, collaborating with many composers on new musicals. Combining a varied career in performance and teaching, he has been involved in broadcasting, oratorio, lieder, early and contemporary music both in this country and Europe. He continues to take an interest in the performer’s platform and recently played the role of Everyman in a new work, Mankind, by Michael Finnissy at the London Festival of Contemporary Church Music. He is currently seeking ways and means of encouraging new musical theatre work alongside an involvement with the development of new comedy writing. creativity, enabling students to think, evaluate and improve creative ideas. Much of this work is identified in his recent publications. Find out more at David Henson’s own website. Janet Shell is a qualified classroom teacher who retrained as a singer at Guildhall School of Music and Drama in her twenties. 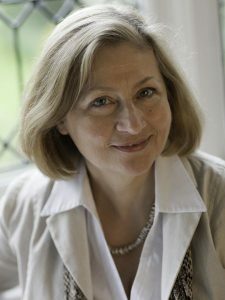 She was the winner of several competitions, gaining prizes in French song, and was the first mezzo-soprano awarded a place with the Young Classical Artists Trust, and the first singer to sing live on Classic FM. During the course of her long singing career, Janet began to teach singing and at once found that her previous teaching experiences automatically informed her private practice. In 2003 Janet underwent a vocal cord operation to relieve vocal cord haemorrhaging and became fascinated by dysfunctional voice and how to spot it and avoid it! Her singing career continues thanks to the expertise of Merydydd Harries and Janet continues to sing and teach singing, always looking to inform her practice and engage with other singers, professors and informed education specialists. Find out more at Janet Shell’s own website.